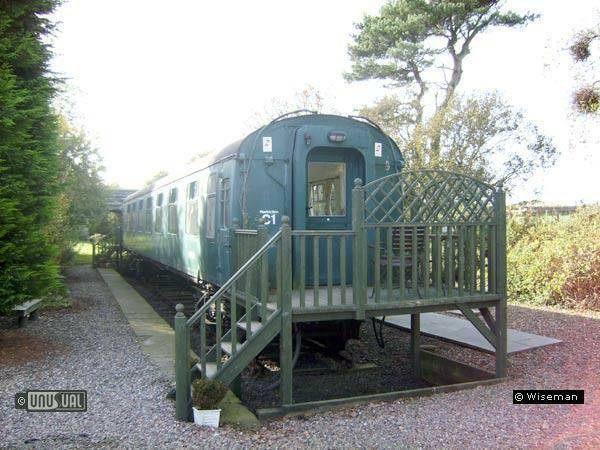 Themed B+B with self catering Railway carriage in garden. 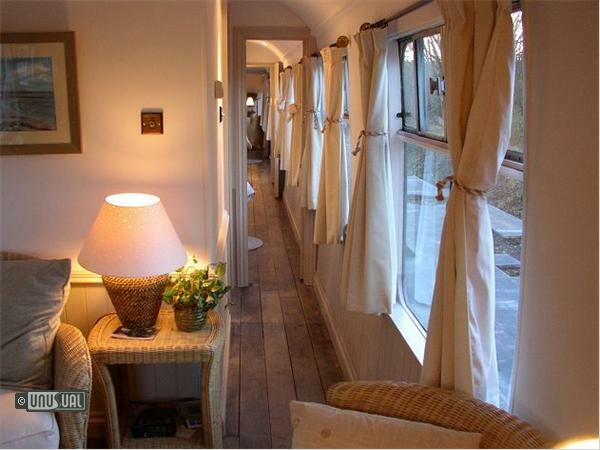 This converted railway carriage B+B has 2 luxury suites in the carriage and a further 6 in the adjoining house. 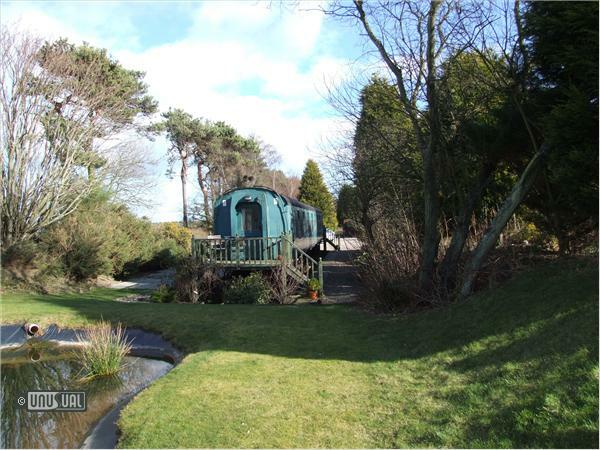 Very near the golf courses of St Andrews and Fife, this unusual property represents an excellent base for visiting this area of Scotland. 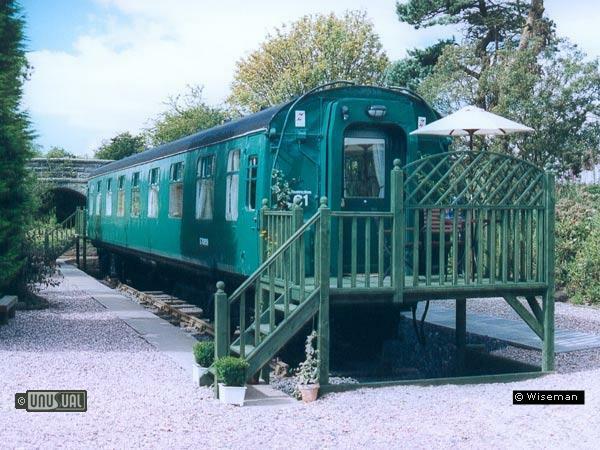 'The Carriage' at 'The Old Station' offers guests a unique experience. 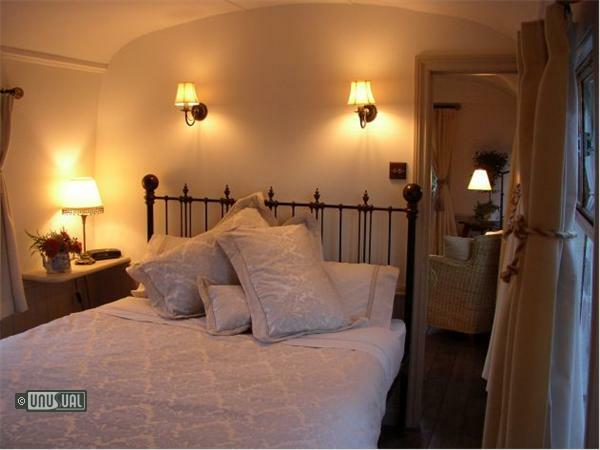 Two deluxe suites, furnished in colonial style, within the two-acre gardens of The Old Station. The house also has African, Scottish, Chinese and Garden themed rooms available (and 2 that were in planning when UHOTW checked). They all have character with walls hand-stenciled by a local artiste. Edwardian dressers, antique artifacts and addictive, generous beds, help you to unwind after a day outdoors on the course, or checking out the local history. 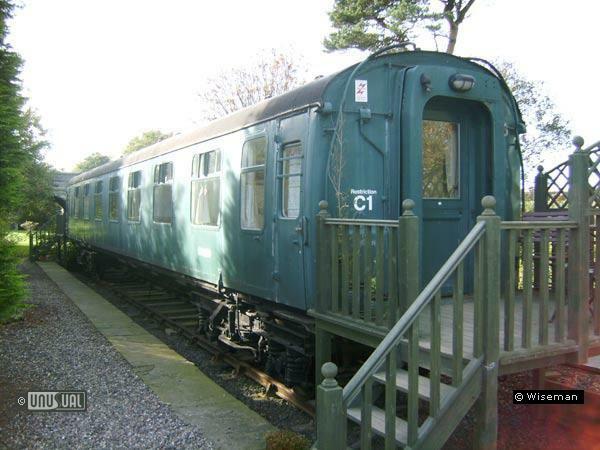 All have en-suite shower-rooms, TV, a hospitality tray, fridge, trouser press, clock radio and hair dryer. 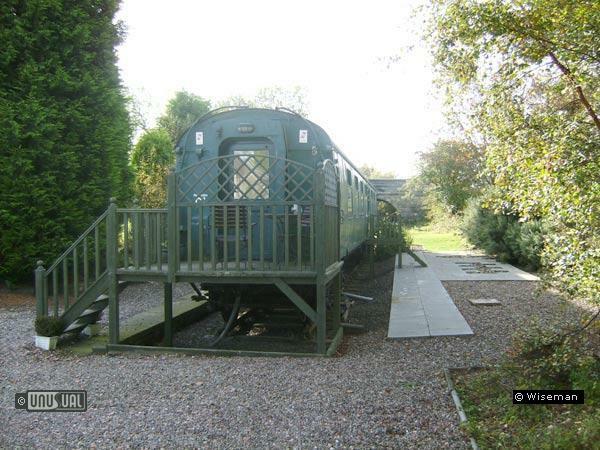 The ground floor Garden room has wheel chair access. 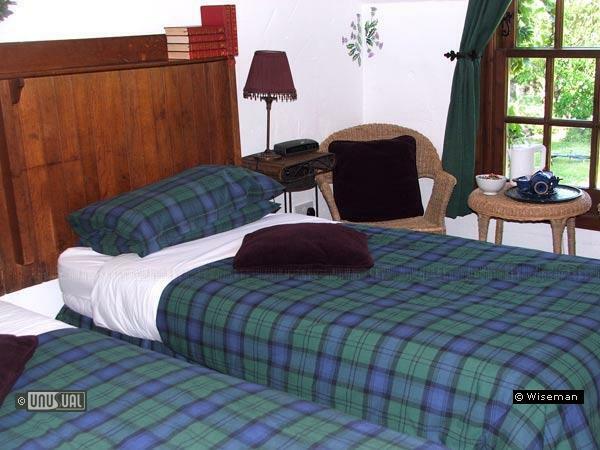 The aim of your friendly hosts Colin and Fiona Wiseman is to provide you with the high standards one would associate with a quality hotel while retaining the more informal atmosphere of a private home. Each suite comprises a double bedroom with en-suite shower room, lounge and outdoor deck, complemented by comfortable beds, linen and fresh flowers. One of the suites has a kitchen with fridge, hob and oven for self catering. Around 2 miles from the centre of St Andrews. 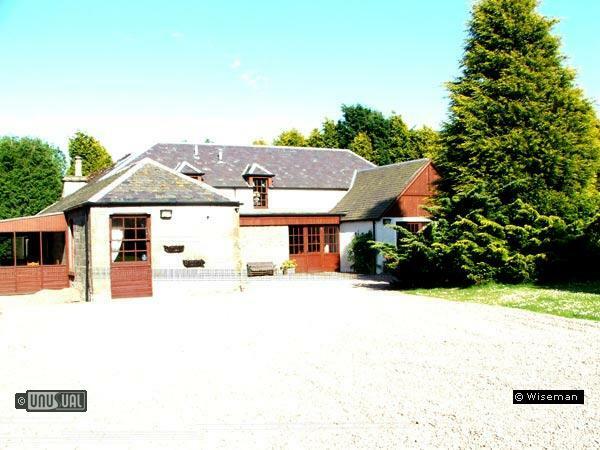 In the immediate vicinity you will find championship golf courses, walking, cycle ways, beaches, castles, historic houses, quaint Fife fishing villages and much more. 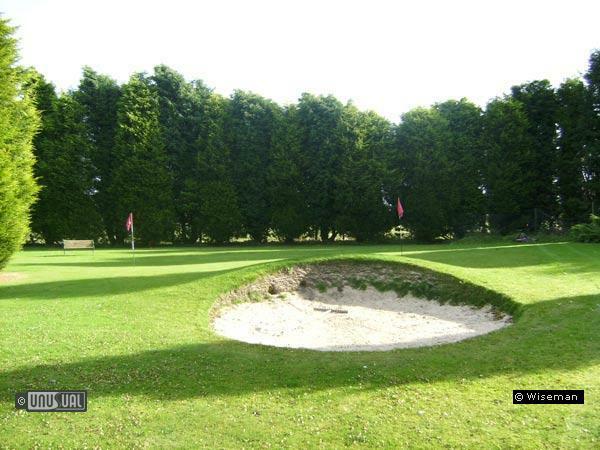 For golf lovers, the hotel is closer to the centre of St Andrews than the major hotel chains! Unfortunately, this must be the most dismally cold b & b we have ever stayed in. The heating was only put on for about 20mins at the most twice a day, even the beds felt damp and did not heat up during the night. It certainly was a very cold weekend weather wise but surely this should have been reflected by more heat in the rooms. We were frozen outside but could not even look forward to coming in to a cosy establishment at the end of the day. Never again.